I’ve always loved the Knitting and Stitching Show – it’s a real highlight of any UK crafter’s calendar. Held in the incredible Alexandra Palace in London, this annual craft show is amazing to behold. Alexandra Palace is a beautiful venue, and the perfect place to give your creativity a boost. 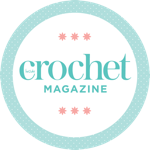 I was gutted to have to miss the show last year, so I was extra double excited when I was approached by the Knitting and Stitching Show to run a giveaway for tickets this year! I’m going to be hitting the show myself this year, with plans to attend a sewing workshop and spend a good couple of hours stroking yarn, chatting about knitting and crochet. The Knitting and Stitching Show is always a great opportunity to squeeze some yarns! I’m even more excited than usual as I’ve recently fallen in love with cross stitch, and been toying with quilting – so I get to play with the embroidery and sewing supplies too! I can’t wait to check out the fabrics this year to indulge my sewing obsession! So – on to the giveaway! I’m giving away 5 pairs of tickets to the 2017 Knitting and Stitching Show at Alexandra Palace. The show is running from 11th – 15th October this year, and the tickets can be redeemed any day apart from Saturday 14th. That’s right! 5 pairs of tickets! You can enter this fab competition using the widget below – there are a whole host of ways to enter, and if you visit daily you can get extra entries every day! The lucky winners will be contacted directly by me, and by the organisers of the show to arrange for the tickets to be collected or sent. Prizes will be re-allocated if winners do not respond to the winning notification within 48 hours. Entries close at midnight on 2nd October 2017, and winners will be announced on the Elsie Pop blog after they have been drawn and accepted their prize. Win Tickets to the Knitting and Stitching Show! Never been to this show so it would be fab to win some tickets! Craft shows are amazing, even just the atmosphere of being around likeminded people. Great giveaway, thanks for running it! I’ve been to a lot of hobby and craft shows, but not this one. I’d love to see what it has to offer! What a lovely prize – I would love to go.